Elizabeth Jean Hook, 91, of Royal Center passed away June 10, 2018 at Parkway Gardens in Fairview Heights, Illinois. Born September 10, 1926 in Royal Center, Indiana, she was the daughter of the late Ralph Goodwin and Evelyn Margueite, nee Behny, Barr. She was filled with pride, passion and protection for her family, her heritage and the farm she grew up on in Indiana. She lived her adult life in California with the love of her life, late, Dudley Wayne Hook. She dabled in modeling in the late 50’s, worked for Edison electric company and upon retiring discovered a love and an increadible talent for painting. She painted for over 30 years for friends & family in the quite surroundings of her family farm. Jean retired from Southern California Edison Co. in California where she had worked as a bookeeper for 30 years. 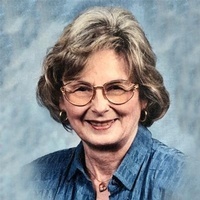 She is preceeded in death by her incredible husband, Dudley Wayne Hook, brother and sister-in-law, Bill & Sue (Harrison) Barr, and survived by her nephew Gregg Goodwin Barr & her niece Jodi Jean Barr, who proudly carries her namesake. Graveside services will be held in Royal Center Indiana at a later date.